Honda Crv. 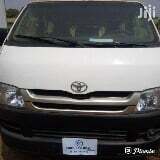 Neat Interior And Exterior, Engine And Gear Perfect, Good Tyres, Ac Chilling Well, Cd Player, E. T.C Buy And Drive. Neatly Used Mercedes Benz C-Class 202. Engine In Perfect Condition. Ac Chilling. No Issues Whatsoever. Car Is In Top Good Condition With Chilling Ac, With Nothing To Fix, Just Buy And Register The Car In Your Name. Custom impounded vehicles for sale, interested buyers should kindly contact mr adewale on 08034761--- for further info thanks. ...Perfectly Ok. Just Buy And Fly. It'S Located In Ilorin Kwara State. Contact Haybee Autos For Inspection. The Price Is 800K Slightly Negotiable. Its A Clean 2014 Toyota Camry With Push Button To Start. Very Affordable Price. Serious Buyers Only. Its A Toyota Camry With A Sound Engine. The Interior Is Still Very Clean. New Tyres. ...Cheap To Maintain, It'S Has Inbuilt Auxillary Port For Phone Connection, Clean Interior, Exterior And Lots More. Located In Ilorin, Kwara State. Clean N Neat Everything Is Working Perfectly, Tested N Trusted Direct From The Owner.